So, I cannot sit down. This is not me being a totally Type A, over-committed New Yorker. But, rather, I kinda can’t move my legs. My quads, hamstrings and glutes are in shock from a 2-hour FITiST fitness mashup at yesterday’s ECA/OBOW event. And, the following people are responsible, in order of appearance in front of our capri-clad group: Noah Neiman (Barry’s Bootcamp), Layla Luciano (SLT), Shay Kostabi (Flybarre), Natalie Uhling (NUFit) and Sadie Kurzban [((305)) Fitness]. Hello, delayed onset muscle soreness. Thanks, guys. 1) There’s a new fitness app coming to town and it’s called SportSetter. You input data like where you live and work, what types of exercise you enjoy and your availability, and the app curates a highly-personalized fitness program, complete with 2-4 class passes at gyms and boutique studios per month. You can also join forces with friends to make the experience more social, both online and off. I’m interested to see how it differs from the other passport programs that we already know and love. Click here to be notified when the app is ready for download! 2) Have you tried a FlyBoard? I hadn’t. It looks like a skinny snowboard with edges that curve up toward the sky, born from the Italian BodyFly technique centered around postural alignment and balance. More info and photos to come (I’m curious), but, judging from my first encounter, I could totally see it popping up at gyms and studios everywhere this year. It’s strangely soothing. And, maybe you’ll even find me on one of these in my apartment, while talking on the phone or answering emails. Stationary standing desks are so 2013. 3) When you hear the name Reebok, you might think of fluorescent high tops or the super-sized fitness space on NYC’s Upper West Side. Now, the brand is a publisher, too. The first edition of RALLY (available as both a print book and e-mag, which you can download here) was floating around the event, featuring fitness industry influencer profiles and stylishly sweaty action shots. 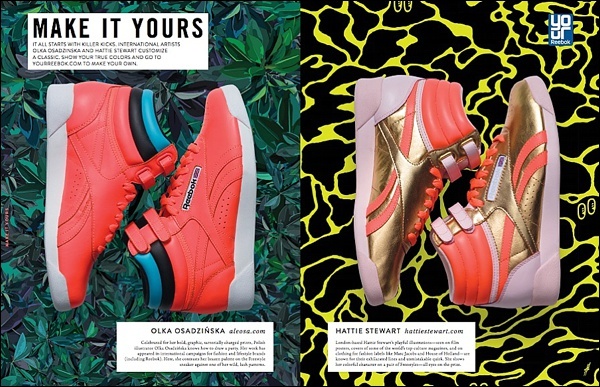 Plus, of course, a few of those signature colorful, can’t-miss high tops. High fives to readers Elyse and Liza for joining me. Hope that you both had fun and here’s to more STRENGTH+Sole “socials” this year! 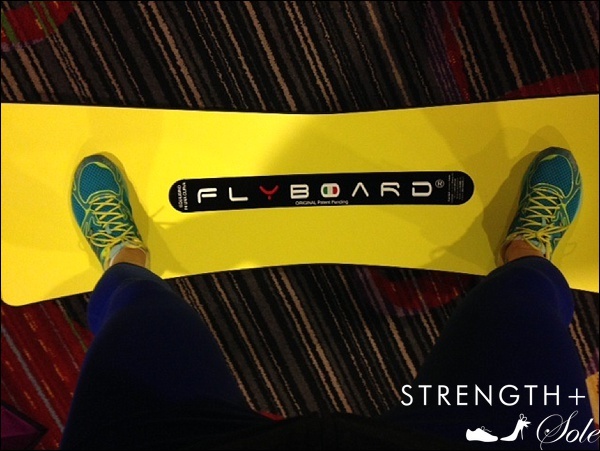 Want to attend a STRENGTH+Sole event? Comment below and I’ll add you to my list. Reebok RALLY images are property of the brand. Awesome to have you there and, YES, see you again very soon! Thank you again Rachel and Liza for being great workout companions! It was a lot of fun and great to meet new people. So glad that you were there! See you soon.